In 2014, Canadian miner Eldorado Gold decided that its underground White Mountain gold mine in north-eastern China, was going to become fully reliant on Teleremoting for its stope ore extraction. White Mountain uses the longhole open stoping mining method through large primary stopes (filled with cemented hydraulic fill) and secondary stopes (with predominately rock fill), targeting between 800K to 950K tonnes per year. Prior to implementing RCT’s Smart Technology, the site used handheld Line-Of-Sight (LOS) equipment. Due to regulatory requirements in China, this process required two workers – one remoting and one to manually operate the bucket. "White Mountain struggled to maintain optimum productivity due to the continual changing between manual and (LOS) remoting,” Mr Uyen said. As well as affecting productivity, there were also safety considerations. "LOS always had the potential for one operator to enter the remoting area if procedures weren’t strictly followed,” he said. 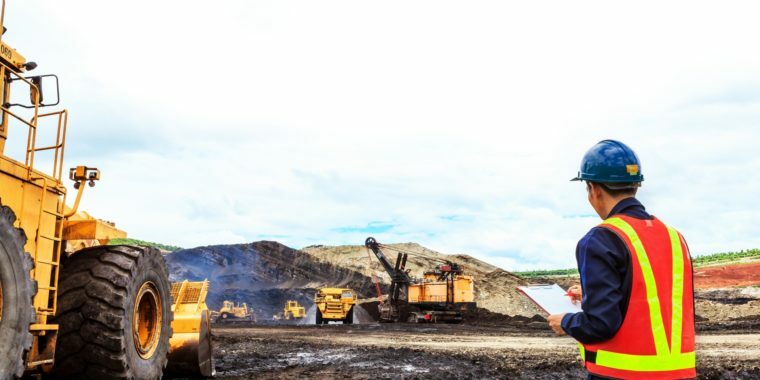 Due to the remote location of the mine, the management at White Mountain also wanted to be completely self-sufficient in terms of servicing and maintenance of the RCT system. 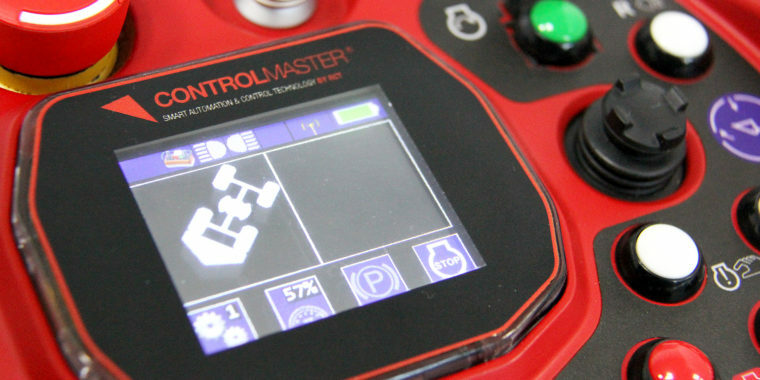 To help improve productivity and safety, RCT’s ControlMaster® Teleremote system was selected. It was fitted to White Mountain’s R1700 loader by an RCT technician and RCT software was tailored and converted to Chinese text for the Teletransmitter. 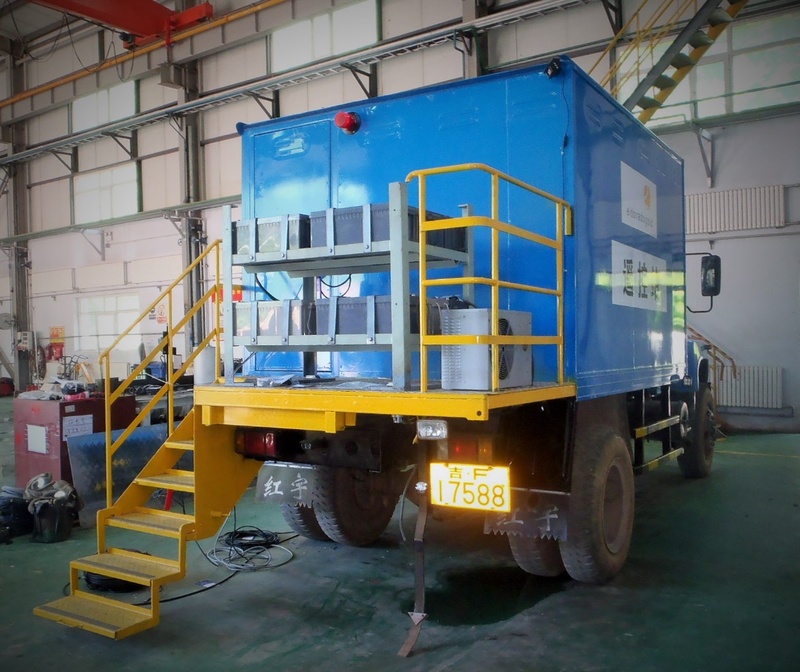 RCT worked with the White Mountain team to co-create the design of a customised truck frame to house the remote control station, the integrated RCT station chair, dual monitors, and the laser protection barrier system. Operators now conduct all Teleremoting from a converted delivery truck. The bright blue vehicle is fitted with climate control, high-tech video equipment and is lit with red light to protect operators’ eyes. The portable vehicle now travels to all stoping areas underground, but allows operators to control the loader from a safe area, within the security of the laser barrier system. This ensures no other personnel can enter the remoting area which further increases workers’ safety. The loader is designed as a "plug and play” system, meaning it arrives on location, ready to set up in advance. It then utilises a battery power pack installed on the back of the truck, which gives it up to five days of continuous power. In the event of the batteries becoming low, the operator is alerted and simply disconnects before driving to the workshop where another spare power pack is ready to go and can be replaced in under 30 minutes. In addition, the loader is also fitted with semi-automation, so when it is tramming within the remote area it can steer itself with laser guidance at speeds up to 10 kilometers per hour. 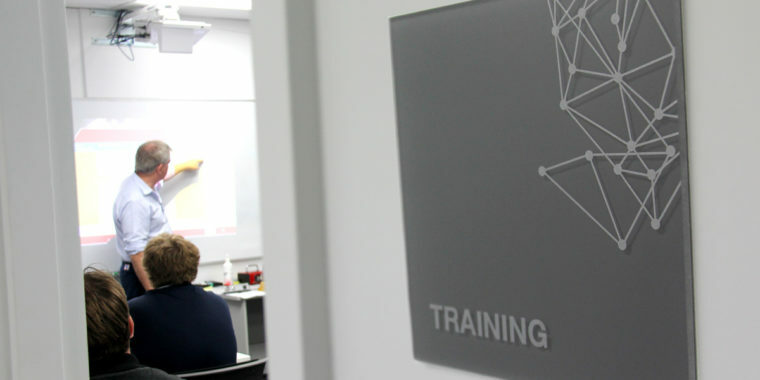 RCT also delivered a two-week, comprehensive training package for operators and technicians to ensure staff were completely self-sufficient at maintaining the systems. Training included diagnostic scenarios and was integral to helping the White Mountain team achieve its goal of being completely self-sufficient in terms of maintaining and servicing the system. However, RCT still provides offsite technical and troubleshooting advice, if and when required. The ControlMaster® Teleremote system was not only the first system of its kind to be used in China; it was also a huge success, improving productivity as well as safety at White Mountain. "White Mountain was the first Chinese mine to embrace the available hardware and technology and integrate it into the primary ore extraction tool,” Mr Uyen said. 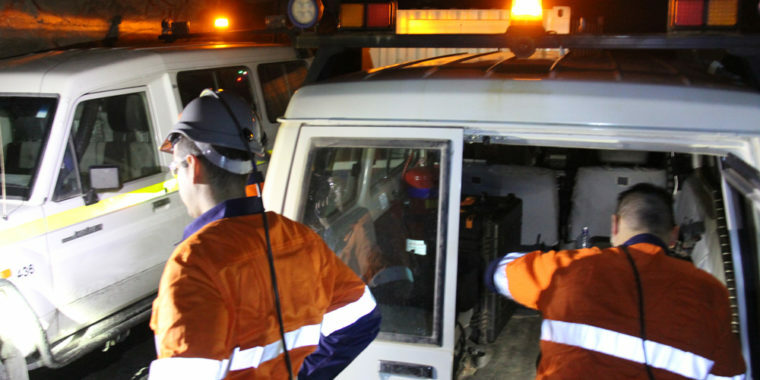 By utilising RCT’s ControlMaster® Teleremote system at the site, productivity increased substantially; achieving a record of nearly 6,300 buckets in one month, which is equivalent to more than 60,000 tonnes of ore.
Loader operator safety also increased significantly as miners now conduct bogging operations from within a custom-built cabin located about 500 metres from the potentially hazardous stope area. "The added and most important benefit was the removal and control of personnel from the work area,” Mr Uyen said. Fitting the loader with semi-automation, further improved the operators’ working environment. "[It] reduces operator fatigue and virtually eliminates impact damage to the machine hitting the walls,” Mr Uyen said. Mr Uyen said the Teleremote system continues to improve as operator and maintenance skills improve. "This successful model can be transferred to any site,” he said. 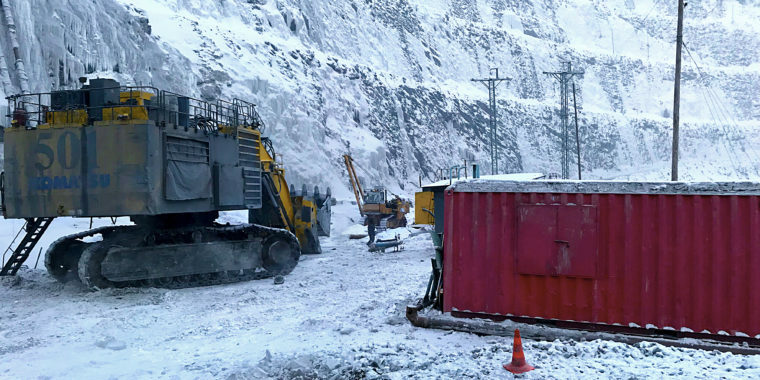 "As global leaders in machine control and automation, RCT was delighted with the opportunity to provide Eldorado Gold with China’s first Teleremote system at White Mountain,” said RCT Executive Director and Chief Executive Officer, Brett White. "We look forward to continuing to empower their operators and improve safety and bottom line performance,” he said. This project was completed using RCT’s standard "off the shelf” offer, which was customised to suit particular circumstances, procedures and site operations. 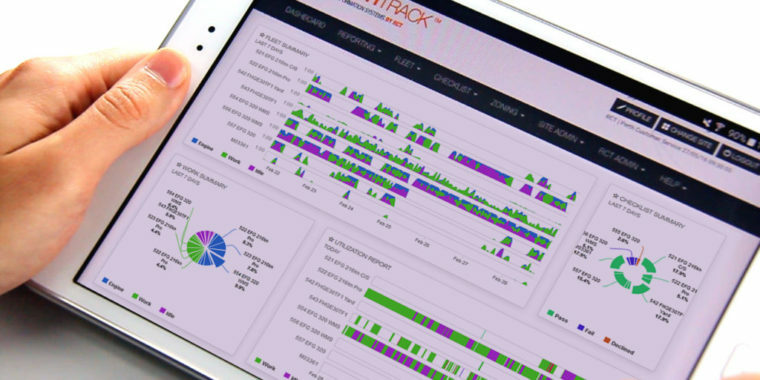 All RCT products can be adapted to be fit for purpose in mining environments globally. Eldorado Gold is a leading gold producer with mining, development and exploration operations in Turkey, China, Greece, Romania and Brazil. The company currently operates three gold mines in China: Jinfeng, Tanjianshan and White Mountain. Eldorado’s success to date is based on a low cost strategy, a highly skilled and dedicated workforce, safe and responsible operations, and long-term partnerships with the communities where it operates. The remote control station was housed in a converted delivery truck on site. Image: Eldorado Gold.